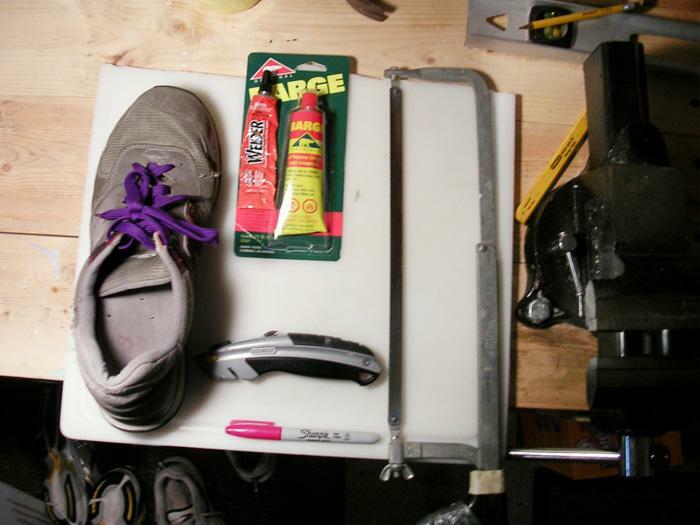 Max Kohen replaces part of a running-shoe sole with a wedge from a plastic cutting board. Although this minimal operation requires few tools and a little time, it produces a modified pedestrian who can ride down railings and other hard edges in the city. New spaces appear as novel forms of movement are made possible; the wearer of “soap shoes” can slide past crowds on stairways and escalators, moving faster and performing tricks with the asphalt and metal landscape.